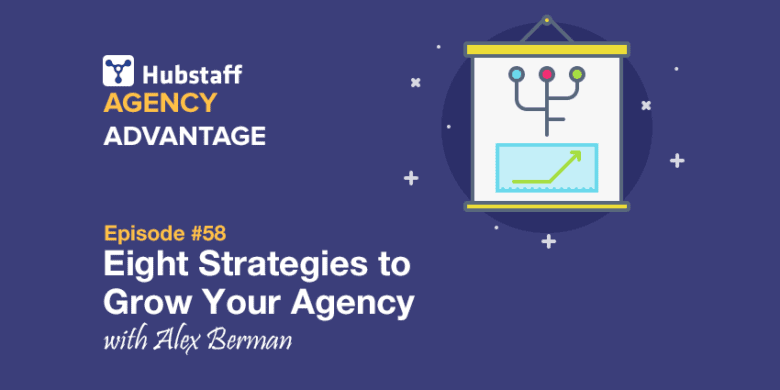 Today, on Hubstaff’s Agency Advantage Podcast, I’m talking with Greg Verdino of VERDINO & CO, the consultancy he started with his wife to help clients get the attention, engagement, and outcomes they need by giving their audiences content they’ll crave. Today he shares how content marketing is evolving and how your agency can stay ahead of the curve. Typically on the podcast I focus on the business side of things, how to get clients, streamline your processes, that sort of thing, but today we get a bit more into the nuts and bolts of content marketing for your clients, as well as your agency. I wanted to take this approach because as more and more agencies start offering content and inbound marketing services, it seems like many are simply trying to check the box of “Do we have an active blog?” without thinking about the end goal. Greg shares why this approach to content marketing isn’t effective, why content needs to be at the core of the entire company, how this changes the agency/client relationship, and what this looks like in practice. 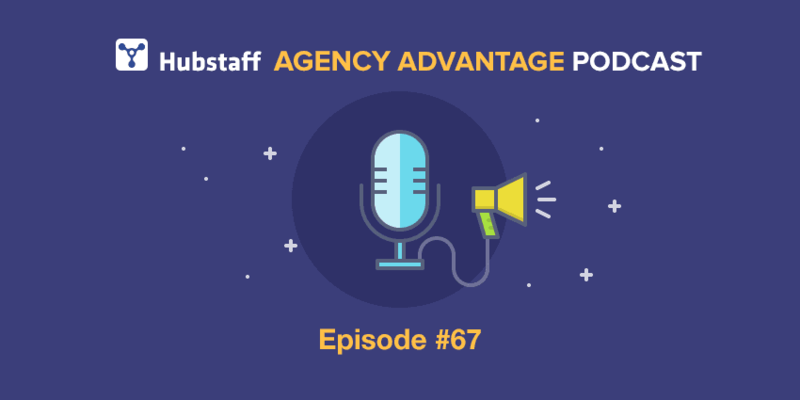 If your clients aren’t getting the results they are looking for from content, or even if you aren’t getting those results for your agency, then this is the episode for you. So without further ado, here’s Greg! Grab the transcript of the interview. According to Greg, content tends to be siloed away from the core of the company, just another box to check that lives with the marketing director or the marketing department instead of at the heart of the company. However, clients are first and foremost engaging with your company through the content you produce. To the client, content is not a tangential item at the bottom of a to-do list; it’s how they get to know who you are and how they decide they want to work with you. It’s one of the foremost ways to create value for your customers. Therefore, content creation needs to move to the heart of the business and be just as important as everything else you produce. Content marketers often focus on the process involved in creating content, creating a social media strategy or a content calendar. As far as the content itself goes, there’s often no cohesive strategy behind it, and agencies are left chasing trends, talking about the same topics everyone else is talking about that week. Greg argues for a different approach, where companies completely change their mindset toward content. Every piece of content, from an email to a newsletter to a proposal, should be centered around a content strategy that speaks to the core values of the company. Every employee should understand that content strategy and how it informs their job, from salespeople to the content creators themselves. According to Greg from even his own personal experience with his company, agencies have a tendency to avoid practicing what they preach. The first step to engaging with any client is sussing out the market and the client’s competitors, as well as figuring out what the client’s audience in and figuring out how to tailor their content toward that audience. And yet agencies so often forget to take this approach themselves. They look at what’s on trend in the market, but they don’t really take a look at what their audience needs. There’s no point in throwing content at an audience if it’s not what the audience wants. In that spirit, Greg’s company is taking a step back from content creation, temporarily of course, to really do a market audit and figure out what is most valuable to their audience, as well as what makes them stand out as a company. He urges every agency who wants to improve their content marketing to do the same. Andy Baldacci: Of course. I want to start off by talking about something you said in another interview of yours with Drew McClellan, it was you said, content is gone from something that pecks around the edges to something that has to be at the core of the entire company. Can you explain what you mean by that? [00:01:00] Sure. So I’m gonna speak here not specifically to agencies here necessarily, but it’s relevant for agencies, and it speaks certainly to the clients agencies work with. I think that for years and years and years companies have created content, and now obviously with content marketing … with so much focus on content marketing, more and more companies are creating more and more content. But I think it tends to be in a lot of instances very much siloed and thought of as an afterthought for the business, that it lives in the marketing department or within the marketing department. It lives with the content marketer. And companies don’t really think about the extent to which their customer and their prospect is first and foremost engaging with the content of the company, even more so than they engage with the product of the company. So when I talk about content moving to the center of the business, what I’m really speaking to is a shift in mindset first and foremost, where a company needs to think of content as a core service of the business. That it’s one of the primary ways the company creates value for its customers. [00:01:30] A second, a shift in approach, that we start to think of content and approach content in a way that recognizes that every piece of information we provide, every proposal we send, every email we send. All of that is driven by content and it’s important that a single content strategy informs all of it, that the entire company is speaking with a single voice. That everyone understands exactly how all of these little pieces, even if it’s micro-content, fits into the way the company engages with its customers. Interesting, and how does this typically look in practice? Is someone … Do you still have someone who owns the content process and is just …. How is it actually permeated throughout the rest of an organization? [00:03:00] Sure, so somebody has to own content and own the content process for sure. So I think in many ways, it’s a matter of that owner not being sort of in some cases the one person show. In other cases it could be a few person show, and making sure that everybody else in the organization understands how content affects what they do and the role they play and how what they do affects the content. So we do a lot of work with customers and sometimes those customers will be … Many times those customers will be marketers. And it could be somebody inside the marketing department that’s got content on their business card, but sometimes it could be a marketing director. It could be a chief marketing officer and a certain customer. And you know, I think a lot of times we’ll begin with them. And we will work with them to really understand and identify who the other stakeholders are across the business and begin to engage with those stakeholders to understand what content is valuable in their day to day. What content is valuable to their stakeholders, whether those are internal or external stakeholders, and how they use content to be more effective. [00:04:00] So it’s not just a content marketer, for example, coming up with a strategy, or a content calender, or even a set of assets. But instead, understanding say how are the salespeople in my organization going to use this content to engage with customers? How can human resources use content to better educate, inform, and engage employees? How does the CEO of the company express herself? And how can we echo that in the way we express ourselves in content? And what assets can we provide her to support her communications initiatives both inside and outside the organization? So it really begins with understanding the perspectives of different stakeholders and then providing those stakeholders with the right tools at the right time so they can communicate with the people that are most important to them. [00:04:30] I mean, you covered so much right then. It’s funny because when you look at a lot of content agencies or you look at a lot of businesses with a content marketer or content team, so many times all that really means is they have someone that manages their blog. Andy Baldacci: And maybe they’re going to have a couple content upgrades and a few other things like that, but for the most part when people think content, all they’re thinking about is blog content. And it can be so much more than that. [00:05:00] And so when you’re working with clients, when your helping them create a real, holistic content strategy, what actually goes into it? How do you try to tie all this together in a way that actually works? [00:06:00] Sure. So there are a few things we’ll typically look at on the front end of a content strategy approach. So obviously it’s important to understand the audience for the content. And I’m saying audience singular, but of course in practice it could be many different audiences for different types of content, but you have to understand your audience, obviously. And you have to understand what’s important to that audience. So whether that means doing the research to build out good, robust personas for each audience segment. Which any agency, particularly agencies that are doing business-to-business certainly understand buyer personas. So building out personas and understanding who the audience is. We do a lot of work with customer journey mapping. So really a lot of the work we do here at the agency is business-to-business. So we do a lot of work with customer journey mapping and really understanding what’s the sale cycle? What process do potential customers go through during that cycle? And what process or set of steps will an existing customer go through during their entire life cycle? [00:06:30] And essentially we ask two key questions, or several key questions. But I think two are particularly important. One is what information do they need? In other words, what do they need to know at each stage of the cycle and what do they need to do or accomplish at each stage of the cycle? Because that allows us to get into the head of the customer a bit and really understand, well if they need this information or they need to complete this task in order to feel that they’re prepared to move to the next cycle in their decision making process, the next step in their decision making process. It allows us to begin to make in some cases assumptions, in other cases better than assumptions about how we can best serve their needs for that information, and how we can provide the right assets or resources at each stage. And so now a days especially, I talk with a lot of inbound agencies and inbound marketing has been all the rage for a while. And now content marketing is obviously very, very similar to a lot of that manifesto. But with typical inbound marketing agencies, a lot of the pitch is just, hey we can come in. We’ll handle all this for you. You’ll get some leads out of it. You’ll get this and you can just focus on your business and we’ll focus on the content. Does that strategy still work? Is that something that agencies can continue to offer, sort of that hands of approach where it really isn’t integrated with the rest of the company? Greg Verdino: I think the answer is yes and no. I think it does still work to an extent for certain kinds of companies as a temporary solution. I think where it starts to get tricky is when an organization relies too heavily on outside partners. In a way, it kind of kills me to say that, right? Because we’re an agency, and while a good chunk of the work we do is strategic in nature, at the same time we also run a content production studio and we do produce content for clients. But what we found is that the client who just want to totally off load it to a third party tend not to get the greatest value from the content. And the companies that either work in partnership with us, meaning in a lot of instances we will work hand in hand with the thought leaders inside an organization to understand their unique perspectives, the things that make their points of view and their ideas and their thought leaderships truly unique and differentiated. That allows us to really get inside their heads and really understand how to express their ideas in the best possible way, and then we kind of pick it up and essentially act as their fingers on keys or whatever the case may be. Because they may not have the time to produce the content or in a lot of cases the aptitude to produce the content. I don’t mean that in a derogatory way necessarily. [00:10:30] Right. I think that makes a ton of sense and a lot of it in my mind comes down to the fact that what you’re talking about seems like you’re changing the agency client relationship, at least as it pertains to content, from that of a vendor to a client. You’re becoming a real partner with them. You’re not just someone you can hand off who will churn out some content and give it back to them. You’re someone who’s helping them integrate this into the rest of the business, figure out what actually matters, and helping them produce it. Is that fair to say? [00:11:30] I think that’s fair to say. And the parallel I would make here to is that at the same time, I think a lot of the work we do, especially on the strategy end of our content work, is ostensibly about content. But more often it’s about helping the company or the people in the company really enact a culture shift and a mind set shift and rethink the role of content in their business. And sometimes look for ways to break down silos and to be more collaborative across the organization, to think more holistically about the solutions they provide and the challenges they solve. So it’s interesting work and I think your point about going from essentially vendor to partner is spot on. And I think that ultimately, when the … Sorry about that. I’m choking to death. Greg Verdino: I think that ultimately, when the production can be commoditized, it’s the strategic support in partnership that becomes the most valuable service an agency can provide. [00:12:00] And then to do that though, because it is such a departure from the way a lot of clients are expecting agencies to act, especially in regard to content. How much do you need to educate the client to get them ready to work with you? Or are you simply only working with people who already are on board with this? [00:12:30] I would say for us, for an agency of our size, we’re a small shop. I think I would imagine most of the agencies that are, the agency execs that are tuned in to this podcast … We have generally focused on the lower hanging fruit. I won’t say the lowest hanging fruit, but we tend to attract clients who are open to these more collaborative, more partner oriented ways of working. And we frankly tend to … We don’t turn away tons of business, but we will turn away a client that we feel is not right for us. [00:13:00] But that said, there are clients who are already thinking this way. They’re already expecting this kind of partnership from their agencies and they understand it’s not in their vested interest to just jump straight into technical execution. But then there are others who do need education, and I think that’s an interesting place for agencies to play potentially in their content, is helping to educate their clients about what it’s like to have a true partner in a marketing agency. [00:13:30] And so when you do work with these clients, how … What does an engagement typically look like? Are you coming in first and doing discover, doing road mapping, planning out the engagement? How much of it is strategy before you do start to give them tangible deliverables? [00:14:00] I would say that a good amount of the work we do is strategy. It’s essentially more or less structured the way you just describes. There’ll be a discovery phase where we really kind of peel back the cover of the business, understand what they’ve been doing for content. Often we’ll be doing audits and assessments and inventories of the content they do have. We’ll obviously be digging into historical performance of that content to really understand what’s worked, what hasn’t worked. We’ll interview stakeholders inside and outside the company. We’ll then translate everything we’ve found into insights that we can then use to structure some kind of a content strategy and roadmap. What I’ll add here is that knowing, understanding obviously that clients get very … Even clients who are totally on board with the strategy process and understand the value that a written content strategy has for the organization, don’t want to wait three months for that. So we’ve actually gotten pretty good at being laser focused in terms of the kind of discovery we do and being able to condense the content strategy process down to a four to six week cycle. And the deliverables are learner and the process we use is more agile. We deliver essentially in a … Even deliver those things in a more collaborative way, where we have a bit of an open window into the work we’re doing with a lot of check points with the client, and sharing work in progress. So they see exactly where it’s going. So that by the time they actually see the final strategy, they’re already bought into it because they’ve had a say in many stages across the entire process. So we can very quickly then get into production. And one thing I want to talk about to get a little bit actual … Into the details a little bit. When I’m working with different content agencies, seeing a lot of the content out there is that so many times when content is created by an outside partner, an outside agency, an outside vendor, whatever you want to call it. It is just … It’s not good. It’s really generic. It’s supposed to be written for experts, for people in this field, but you can tell it’s written by someone who maybe read a couple Wikipedia pages about the subject and then just got to work. Andy Baldacci: How are you able to deliver high quality content to your clients without necessarily having domain expertise in the field? [00:16:30] Yeah. So I think that’s where the extent to which we partner with the thought leaders inside the organization really helps us. So we use a particular methodology. We didn’t invent it. I’m sure you can google it and find other examples of it. So we’ll use for example partner writing. [00:17:30] Which essentially is a process that takes a thought leader inside the organization who has this deep domain expertise and somebody on our side of the table who has deep content expertise and we essentially act as translators. So while we will certainly round out what we get from the thought leader with additional research and so on, what we’re really looking to do is express the ideas of the thought leader in a way that’s going to be palatable to the audience the thought leader is trying to reach. So that’s one of the key ways we overcome that. So that might in certain cases mean conducting an interview with an expert inside the organization. They’ve got to devote an hour, but then they don’t have to devote the three to four hours it takes to translate that into a white paper, an ebook, a set of blog posts, slide show, whatever the right format is, or potentially multiple formats. [00:18:30] So it really saves them a lot of time and a lot of aggravation, and of course they get to approve it at the end. We take on the heavy lifting of the creation of the content but we never … We don’t really look to express … We’re not expressing our own ideas. We’re expressing his or her own ideas. I think in that way we’ve been able to overcome the challenge that you described which is this very light weight kind of generic content. Even before we get into that process of working one on one with the experts in the organization, we also do a good amount of work in the strategy process. I talked about discovery before, but we also work with our clients to develop their editorial mission statement, to craft their messaging strategy and their messaging hierarchy, to identify the right support points for each of those messages, and to really come up with a unique story for each of these organizations or a unique narrative I guess, more properly, that each of the stories we tell in partnership with the internal experts supports. [00:19:00] So I think it’s not just how do you create a unique and compelling asset, but it’s also what is the big picture that the client’s trying to paint? And helping them to really clarify that and crystallize it and frankly, vet it against competitive stories so that we understand whether it truly is differentiated. [00:19:30] I see, and that’s one of the things so often with content. I mean, obviously SEO is an important consideration with any content strategy, but if your just randomly picking key words you want to target or writing about that, you don’t have a coherent voice. You don’t have a coherent purpose of your content and people are gonna get that. It’s just gonna be a bunch of random posts up on your site. It’s gonna be a random collection of slides, of whatever form the content is taking. If you have a true mission statement guiding that content, then you can see how it all fits together and how it really does contribute to the overall brand that is putting it all out there. [00:20:00] Right. So I mean obviously I’m not gonna say it’s not important to optimize content for search, but I do think it’s equally important to understand that fundamentally at the end of the day, you’re writing for a human reader. [00:21:00] Obviously the content needs to be found, but once it’s found it can’t come across as a key word stuffed, jargon ridden piece of garbage. So you are writing for a human reader and that’s where things like voice, and opinion, and perspective, and all of that comes into play and can make a world of difference in terms of how engaging the content is. But to your bigger point about having an overarching mission, we absolutely firmly believe every client we work with needs a content mission statement or editorial mission statement. And then from there, what we do is we’ll typically figure out what are the key themes and topics that nest properly under that mission statement? So I would rather see a client own mind space around a single theme or topic than publish lots and lots of stuff on lots and lots of different themes or topics and never actually get any traction on any one of those. Andy Baldacci: Is the ultimate goal for your clients to become an authority, to become the go to company for X? Like it might be narrowly defined, it might be whatever, but is that the real goal, is authority? Greg Verdino: No. I think authority is the means, not the end. Ultimately these clients are looking to … Our clients and I would think any client that engages in the business of content to whatever extent … Audience is a means to an end, and authority is a means to an end. Ultimately, they’re looking for business results. [00:22:30] Now being seen as an authority might be tied to a business result related to awareness and preference, right? But ultimately at the end of the day, they want to make sure that when people engage with their content on a consistent basis, those people are more inclined to typically buy. And if they’re existing customers, they’re more inclined to stay even when competitors are knocking on their door. And those are the two most consistent or most common outcomes that our clients are looking for. Either will this help somebody buy from me or will it keep somebody from going elsewhere after they buy and before the next time they have to buy? For a lot of these clients, the visibility, the authority, the trust they build become the vehicles they use instead of traditional advertising reach and frequency. [00:23:00] How are you measuring the … ’cause obviously there’s a lot of tools out there that help tie things together for the acquisition side, for seeing how content is leading to new customers. But how are you measuring that for your clients for the retention side to see if it is helping people stay around longer? [00:24:00] So I’m not gonna pretend that we’ve got the perfect answer there, and frankly sometimes even we don’t have full visibility into the data there. For the most part, a lot of our post purchase content tends to live in sort of private channels, either there are post sale customer engagement streams. Maybe it’s a series of emails. Maybe it’s an ongoing newsletter. It could be anything. It could be customer webinars. There’s a wide variety of things it could be. We as an agency ourselves don’t do a lot of post purchase content that live out on public channels. We just … other agencies do obviously but for us, a lot of that post purchase content lives in these direct communication channels. So for us, obviously there is some ability to say, “okay. This client’s been getting the monthly newsletter for two and a half years and they have not churned.” So that kind of stuff gives us some good indicators. Interesting, and going on what you’re talking about for your own content and not necessarily living in the public, how have you applied this content strategy, this core strategy, in your own agency. [00:26:00] I have no problem being brutally honest with myself. I do feel frankly that to some extent, we’ve suffered a bit from cobbler’s children syndrome. Not entirely, but we kind of in a way almost view our content plan almost as a test kitchen. I mean, we certainly have done the things that … The basic things related to content strategy that we would advise any of our clients to do. So we have our own content mission statement and we have a messaging hierarchy. We have a written voice and tone that informs both the copy on the website, the way we write blog posts, the language that goes into our proposals, all of that stuff. So we have a level of consistency across everything we do. Where I think we’ve faltered a bit is frankly … and I think a lot of agencies and a lot of consultancies of all kinds suffer from this a little bit, is a tendency to talk about what we think is important a little bit more than we should. And one of the things we’re kind of on a little bit of a content creation hiatus for our own agency right now, because we’re rethinking the strategy. We don’t want to be throwing more and more content at the market if we aren’t 100% confident that’s the content the market wants. [00:27:00] A good example is we’re a content agency. So therefore when we blog, we blog about content. We write, we send out our newsletter. We’re gonna curate articles about content and the truth of the matter is most of our target clients probably think about content 10% of their day. We think about it 100% of the time and if we’re lucky, they’re thinking about it 10% of the time. So we’ve been talking to a lot of customers and a lot of prospects about what they would find most valuable from us. And what we’re hearing is that it’s less about content, surprise surprise, and it’s more about the things that are affecting their business on the day to day. With the hook being and how does content help us solve those challenges or meet those opportunities? So what we’re seeing is actually essentially a need to go deeper. [00:27:30] We’re thinking potentially doing more thoughtful think pieces around key trends and tying them to the role content plays in helping our target organizations tap into those trends or address those trends or respond to those trends, but in a different, meatier, more provocative and thoughtful way. As opposed to blogging once a week about something that everybody else is writing about. Even if our thinking might be unique and some of the things we say might be unique, does the world really need another content marketing blog or another content strategy blog? And the answer of course is no. Right. And so who then are the organizations that you’re interested in? What does your target prospect look like? [00:29:00] So for us and obviously this is gonna be different for every agency, so nobody should generalize from this, but our sweet spot is B2B with a specific bent inside that towards I would say mostly technology and fintech. Broadly speaking, technology and fintech specifically and I think the common … Although we do some other work with companies that are working in the non-profit space as well, but I think that the common thread across all of our clients tends to be that they have a complicated story that’s difficult to convey, and they need help figuring out how to convey something complicated a way that isn’t. Or maybe something complex in a way that isn’t complicated. [00:29:30] Because I think and what we find, sometimes especially for our smaller clients, meaning organizations that may not have 100 person marketing department, ’cause we do work with mid to large size customers but we also have some smaller clients. And in the case of the smaller clients, we might find ourselves working directly with a CEO or a founder. And those are the kinds of people that are so wrapped up in the details of the business that they just don’t know how to get their story out. It actually holds their business back. [00:30:00] I like how you brought it down and kind of synthesized it around the idea of telling a complicated story in a simple way. Because what I was going to ask about is that for so many agencies, if they’re thinking about their own content strategy, if they’re working with anybody and everybody … Anyone with an open checkbook. They all have different problems, so it’s very hard to speak to them when they’re suffering different things. And that’s why I think so many agencies default to just writing about what they think is interesting. Andy Baldacci: And so how do you suggest that if you’re working with a client who has a wider focus, how do you work with them to create a strategy that actually resonates with their market? Greg Verdino: I’m sorry, can you repeat the question? Greg Verdino: This is an edit point. Yes, exactly. So let me just take one second to think about the best way to phrase this, ’cause basically what I’m getting at is that I think you’re able to create content for your agency because there is that common shared pain point. Andy Baldacci: If another agency say, or a client of yours, whoever, doesn’t really have that common thread, where do you begin with helping them create a content strategy? Okay, sure. I would argue … I don’t think anyone’s looking necessarily for my unsolicited advice on this, but I would argue that if any company and certainly an agency is serving anybody and everybody, they probably have a business strategy probably before they have a content strategy problem. So that would be one thing is I do think that, and this is not uncommon with any kind … Even a lot of the kinds of companies that we’ll serve, is really … I think even before you get into content strategy, is really stepping back and figuring out do we have a clear enough and compelling enough value proposition for a specific customer type, or a smallish set of specific customer types that might have a common challenge that they’re facing. I think once you’ve done that, you then have a much better opportunity to say okay, if we’ve identified a customer type or a small set of customer types and we know that they have a set of challenges in common. Now at least you have a basic foundation to start to think about how do we help them get their heads around that challenge through the content that we create. [00:33:30] If in fact you’re more of a generalist agency, I would still say that there are probably common points or common threads that could be woven through virtually any client type. So for example, just the thing that I just said to you, that you took to and repeated back about simplifying a complicated story. That’s not unique just to the few types of clients we serve. Obviously that could be true of a great variety of organizations, from consumer electronics, even sometimes consumer packaged good. So this idea of theming a blog around simplifying the complex could be an interesting angle. If you tend to serve smaller clients you might say what they have in common is limited resources. So let’s write about how you turn limitations into opportunities. I’m just obviously making these things up right now, but I think if you’re creative about it you can come up with these common themes that are a bit less beholden to the we create advertising. Or we create content, or we do PR, therefore we will write about those tactics. Andy Baldacci: Exactly. Exactly, and I think that’s really what it all comes down to, is understanding what the client ultimately wants. They’re not coming to you ’cause they just want a ton of content and if you give them ’cause they’re gonna be happy. They’re coming to you because there’s a business problem that they’re hoping content will solve for them. So if you can narrow in on what business problems, even if you can’t get laser focused. The closer you can get to a consistent theme that isn’t beaten to death in the market already is probably a good source to look into for creating these content ideas. Would you agree with that? [00:35:00] I would agree with that. The thing that I’ll add is this is particularly important I think at the top end of the funnel, if there even is a funnel anymore. Right? But at the early stages of a journey. It’s particularly important because the client may not know they’re looking for content and they may not realize content is the solution to their problem. Or whatever the agency does, advertising, PR, websites, whatever. What they know is they have a problem, and when you get further down the funnel or later into the journey, there’s absolutely a place to get real about what you provide and why what you provide helps to solve the problem they have. But I think you miss a lot of those people who are early in the process if you jump straight to your solution. Andy Baldacci: Yeah, I think that’s a really good way of putting it because even if you just start from the beginning by just talking about content marketing, content marketing rather than their business problem, you’re only going to attract the people who already know what they want. [00:35:30] If they can already identify that, there’s probably a good chance that they’re looking at other content providers as well. They’re looking at other alternatives and they’re gonna be much more price sensitive. But when they see you as someone who can solve their business problems in content or website, PPC, whatever it is as a way to solve that. Then you’re on a different playing field because they’re not comparing you to other vendors. They trust you like a partner. They trust you as someone that they can go to for advice on how to improve their business. Greg Verdino: Ultimately for any agency I think that’s the enviable position to be in. Of course, and it’s a hard one to get into. So I’m curious, ’cause your agency seems to be at a point where you are clearly treated as a partner, and content has clearly paid a role in that, but you’ve also said that that hasn’t been your entire focus. So how else have you grown so far up until this point? Greg Verdino: Sure, and again it depends on how you define content. In that we haven’t relied exclusively on content marketing. Sure, we do the quote unquote things we’re supposed to do. We’ve got … I think we’ve built up a fairly decent library of content on the blog. I don’t think it’s all as good as it could be and we’re not as consistent as we should be. We’re breaking all the rules that we tell our clients never to break, but we’ve got content there and it’s fairly well optimized. We have a newsletter that goes out at least semi-regularly and we’ve actually gotten business from that, which I think is a rare thing for an agency to say that somebody’s actually called up. “Hey, I get your newsletter and I just decided to reach out after a year and a half.” So we’re doing those things, but I think that reaching out and doing even podcasts like this one is important. And yes, it’s content, right? Any word that comes out of my mouth is content. And I’m piggybacking on somebody else’s content, of course, yours. [00:38:00] I think finding the right places to be visible and create visibility for your agency is important. Not that I’m thinking I’m gonna get a lot of business out of this particular podcast, but certainly going on a podcast that targets financial services marketers for example could result in business. I think speaking is another great way to generate awareness and interest for your agency. Even better if you can get paid to speak, but nonetheless, getting out there and being on the stage at a conference certainly gets you more … Builds more credibility than being in the audience at the conference. Andy Baldacci: For sure. So looking at the website, you’ve spoken at almost a hundred different events, and so how central to … Do you consider that part of your content strategy? I do consider speaking part of the content strategy. I’m in a little bit of a unique situation in that I’ve been speaking for I don’t know, 20 years now on a variety of different topics. When I was … I think I started speaking when I was at an online video startup in the early days of online video, pre-YouTube. So I talked on that topic, mostly to promote the company. Then I was at a big agency and they threw me out on the speaking circuit to basically just play big agency thought leadership … Thought leader to build visibility for that agency. When I wrote my book and then was a partner in a social media agency, I spoke about social for a number of years. I’ve kind of found a speaking niche in digital transformation. Which I can draw the connective tissue between digital transformation and content strategy, but that’s not really where I focus in my talks. [00:40:00] So it’s been interesting because I almost feel like in some ways, I live a double life because I’m talking about kind of big picture digital business transformation when I get on the stage. And then I come back home and I sit down and my wife and my partner … We do content all day. But what I do find is that even if I’m speaking on one topic and consulting or delivering on another, being on the stage does absolutely get me into conversations with people. So I do see that as part of our content strategy, absolutely. Andy Baldacci: And it’s funny, it makes me think of … Are you familiar with Andy Crestodina? Andy Baldacci: Yeah, it’s funny ’cause he’s one of the big names in the content marketing space. He has a content marketing conference, content jam every year in Chicago. But his agency, Orbit Media Studios, doesn’t do content at all. So it seems like he’s living a similar double life to you as well, where you can find the connective tissue. ‘Cause he always says people who have content marketing concerns have website concerns. They have other things the agency can service. Andy Baldacci: But the meat of it doesn’t always dry out those connective tissues as you said. Andy Baldacci: It still clearly has an impact on raising awareness, building authority, which like you said earlier, ultimately does lead to more clients. So what does the future look like for Verdino and company? Is it gonna be … I know you talked a little bit more about you’re on the hiatus with content but you’re going to be coming back when you have a better idea of really how to put it out for the prospects. But what do you see as the future for how you grow your agency? [00:42:00] So we’re thinking about a number of different possible paths right now. On the one hand, having been in both specialized agencies including this one, right? But also being in more general agencies, I’ve been pleasantly but consistently surprised that the more specialized and the more clear we can be about what we provide to our customers, the better we’re able to increase our close rate and waste less time pitching and writing proposals. So on the one hand, I feel like our future is more of the same, only a little bit bigger every day. We certainly want to remain focused. We want to have a clear value proposition. I have no delusions that we’re going to become the mythical, all purpose, full service agency. [00:43:00] Which nobody really is, and clients tend not to even want. So certainly sort of continuing down the road of specialization is absolutely our future. We’re also thinking about, and this goes to a lot of what I was saying early in the conversation. We were talking about thinking about content at the core of the company and thinking about how content gets used by different people across the company. What we’re really doing now is looking at the projects we’ve done that have been particularly well executed, particularly fun for us and have delivered particular value to our clients. And of course we believe everything delivers value to our clients, whether our clients believe it or not. But there are certain kinds that we feel we just are well suited to knock out of the park. So we’re actually even looking at, and this is kind of … I don’t know that it’s a binary choice, but I don’t think we can go in both directions at once. [00:43:30] One is becoming even more specialized. We don’t just do content, but we specifically do these kinds of content for these kinds of organizations and that’s all we do. And if you want for example blog posts, go find somebody else. And I’m just making that up. I’m not saying we don’t write blog posts. [00:44:00] The other thing that I’m thinking about is maybe how do we potentially even change the conversation about what we do? So for example, are we a content agency or are we let’s say a sales enablement agency that uses content to help your sales team sell better? Or are we an executive communications agency who helps your CEO tell a better story? Right, so these are all … I’m just throwing these out as possibilities, but we’re really … with the bottom line being from my perspective, the more we can niche, the faster we will grow. Andy Baldacci: Mm-hmm (affirmative), and I like those different options you presented because those were much more benefit focused than saying your a content shop. Because content, it’s just the tool. It’s not the goal that people are looking for. Greg Verdino: Exactly, and that was thankfully, despite my rambling response, you got where I was going with that. And I think that to me is important, because I think as clients are looking to make every dollar work even harder than they worked lat year and harder than the year before that, right? [00:45:00] So even if budgets are expanding in some cases, they’re still looking for harder working dollars. And I think tying what we do, we collectively as agency people, to the outcomes that the client is willing to pay for, ultimately pulls us out of the commodity bucket. We’re kind of like the chum in the bucket that’s just pitching every piece of business and racing to the bottom right? [00:45:30] Right. So to go with that to wrap up, what is something that you think agency owners can do right now to start moving towards this specialization? To start finding a way to really stand out on the market and get after what it is that their clients ultimately care about? [00:46:00] I think it’s a number of things. Certainly, as stupid as this sounds … Maybe it doesn’t sound that stupid, but you’ve got to talk to your clients, right? And I know we talk to our clients every day but we tend to talk to our clients within the context of the project that we’re doing for that client right now, or the next project we’re going to close. And I think you can get a lot of valuable insight from speaking to a client about what they value in you, what they see as your point of differentiation. Now it might not all fit with your vision for the agency, but it’s interesting to hear from clients what they think makes you different. Certainly I think in the same way you would do a competitive analysis for a client, you need to perform a competitive analysis on your own business and understand. Are you truly talking about the things you do in a way that’s different from the way everybody else talks about the things you do? [00:46:30] And you mentioned Drew McClellan’s podcast obviously early in our conversation, and he’s famous for saying go to every … Go to all of your competitor’s websites. You’re all saying the very same thing. You’re all saying we’re a full service agency. We put creativity first. We’re a partner to our client. [00:47:30] There’s this long list of things. We’re innovative. We’re digital first. Whatever it is, everybody’s saying the same stuff. So I think some combination of talking to your clients and doing competitive will start to if nothing else open your eyes to the reality that you’re not necessarily positioning yourself as strongly as you could and certainly not as strongly as you would suggest your client positions themselves, right? So I think that’s an important set of exercises to go through and I think it’s important to really think about looking inward now. What is the work that is truly … That really drives you as an agency owner? And what is the work that your agency is uniquely set up to knock out of the park every time? [00:48:00] I have this conversation with an agency owner friend of mine all the time, where the stuff that his agency does really, really well he’s just not passionate about. Now you’ve got a choice. Do you follow your passion or do you do the work that’s gonna pay the bills? And there’s no one right answer to that. Every agency owner needs to make a decision, but I can say for a fact his agency would be three to four times the size it is now if he just focused on the work that clients want to buy instead of the stuff that he thinks is interesting. [00:49:00] So there’s that balance between are you building a business? Are you building a lifestyle business? There’s all sorts of things that need to be considered and ultimately, I would say there’s … I’m not sure if somebody smarter than me, but I know it’s fairly common logic that a strategy is just as much about what you choose not to do as what you choose to do. And I think an agency is defined by the things you don’t offer. So I think being rigorous and relentless and ruthless and saying listen. We are not gonna do these things ’cause we hate doing them or we’re not good at them or everybody else offers them and we can’t differentiate, or whatever the reason is. I think kind of cutting back and focusing and truly becoming different is the most important thing an agency can do. [00:49:30] I couldn’t agree more with you and it’s something that a lot of guests on this show really hammer home. So I hope listeners out there can take that to heart. ‘Cause it’s not about necessarily going down and picking one technology from one industry and that’s all you’re gonna do for the rest of your life. But it’s just getting a little bit smarter about the services you offer, how you position them, and who you’re selling them to. And honestly Greg, you shared a ton with us today. So if listeners are curious and want to hear more from you, they want to learn more about your agency, where are the best places for them to go to do that? Greg Verdino: Probably the easiest place to go would be our website, which is Verdino.co. No M, the co as in Verdino and co. You can find us again Verdino_co on Twitter, on Facebook, on Linkedin are probably the best places I think, for the most part. You can reach Greg through his website, verdino.co, or @verdino_co on Twitter, on Facebook, or Linkedin.